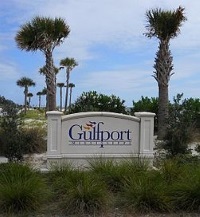 Gulfport is one of the jewel's of the Mississippi gulf coastline, with sparkling white sand beaches and a busy harbour. The town is one of the busiest tourist destinations in the region, drawing visitors with its excellent golf courses and bustling casino. Families will enjoy the Kynn Meadows Discovery Centre and Gulf Islands Water Park. Gulfport also offers excellent Southern restaurants that take advantage of its coastal location to serve the freshest shrimp and crawfish. Visitors can get a first-hand glimpse into the industry on a Southern Belle Fishing Tour, or by coming to the Mississippi Deep Sea Fishing Rodeo, held each July. Located near Biloxi and only a few hours from New Orleans, Jackson, and Mobile by road, Gulfport is an excellent destination for a weekend getaway in Mississippi. We are looking for contributors for our Gulfport travel guide. If you are a local, a regular traveller to Gulfport or a travel professional with time to contribute and answer occasional forum questions, please contact us.